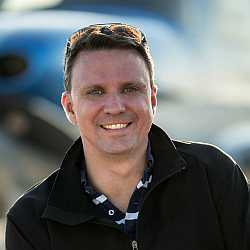 Guest Randy Brooks is an active Upset Prevention and Recovery Training (UPRT) instructor and also manages flight training operations at the Aviation Performance Solutions (APS) Texas location. We talk about how Upset Prevention and Recovery Training grew from the awareness that loss of control in flight was the biggest threat in aviation, and the formation of the International Committee for Aviation Training in Extended Envelopes. Part of the problem of loss of control in flight is handled through better simulators, but with training in actual aircraft, pilots are presented with a higher perception of risk. In this environment, human learning actually shifts to a different part of the brain – the part used in actual flight emergencies. 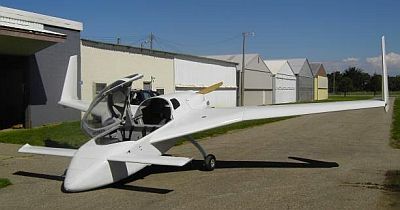 UPRT is related to aerobatics. Think of acrobatics as precision maneuvering with a known outcome. UPRT, on the other hand, can be characterized as non-precision maneuvering to correct an unknown condition. Randy holds an Airline Transport Pilot rating with over 12,500 hours of flight time in over 100 different aircraft. 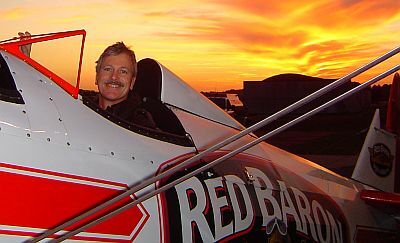 He was a professional airshow pilot, Director of Operations for the Red Baron Squadron, a formation aerobatic team with seven Stearmans. At Eclipse, he was Manager of Emergency Situation Training and Director of Customer Training and piloted the single-engined Eclipse Concept Jet prototype at Oshkosh in 2007. 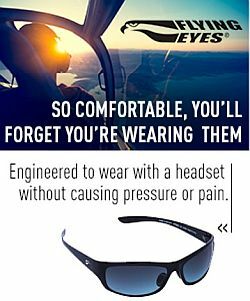 Follow Aviation Performance Solutions on Twitter and Facebook. This week listener Tom Brusehaver provides the history of the Cozy Mk 4. Grant’s getting all nautical thanks to his recent interviews in Sydney for the International Fleet Review but Steve’s choice of music may give the wrong impression (or was that in the bloopers?). The dynamic roo-eaters then go on to discuss a recent coroner’s report that gives a damning indictment of CASA following a joy flight accident. This week we are joined by Tony Bishop from e-Go aeroplanes who have designed and are manufacturing a sleek new innovative general aviation aircraft. More e-Go on Facebook, the Yahoo Group, flickr, and Vimeo. New lounge for Star Alliance at LAX. Santa Monica (SMO) Crazies at it Again and AOPA AND IT’S FUTURE by Arthus Rosen. This entry was posted in Episodes and tagged APS, Bombardier, Cozy, e-Go, fatigue, flight training, Garmin, UPRT on October 9, 2013 by maxflight.